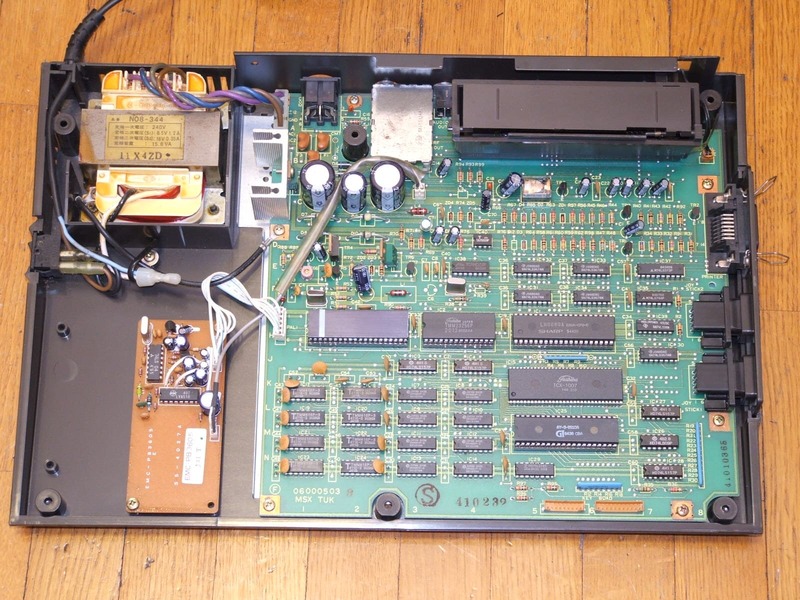 Home » Forum » MSX Talk » Hardware » My Toshiba HX-10 gets mighty hot! My Toshiba HX-10 gets mighty hot! These properties are very important for capacitors installed in the power circuits and having heating parts nearby (transformer, heat sink etc). I have recently repaired 10 year old BENQ monitor, almost all its power capacitors were literally swollen (tough they did not explode) and they were located near heating elements. Using datasheets I picked caps with longest life (up to 10,000 hours), and installed them with their pins bent the way they are maximally away from the sources of the heat. They appeared to be bigger in size that those with less life span, and bigger that those have been originally installed. Hopefully this monitor will work for another 20 years. Replacement capacitors should survive in any case, especially if machine racks up few hours of on-time after recapping. So don't worry about them. If worrying, worry about other components like the VDP that always tend to run hot. Just to summarize your proposals, and not being able myself to solder: what can I do without changing any internal component? Reduce those losses: more efficient power supply, NMOS -> CMOS Z80 etc. Move those losses elsewhere (external power supply). Reduce those losses' impact: ventilation holes / heatsinks / cooling fan. Measures that make a big difference, will involve a soldering iron I think... And of course it may be good not to run your MSX in the peak heat of summer. 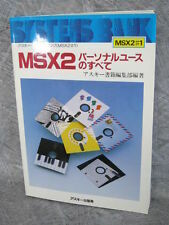 Personally I wouldn't ever let a cooling fan near my MSX. It kinda degrades the experience imho, and there's so many other measurers you can take. If you do: have a good look at the airflow you want, take the biggest 12V fan you can fit, and power it from the 5V (or even less by adding series resistor). I don't know how consumes the MegaFlashROM + SD + 512kB. This is perhaps the equivalent of a CF interface + an MMM. Hello there. Bumping this thread, just to ask for advice. I just bought a Toshiba HX-10 in the bay, from an Italian seller claiming it to be "brand new" and perfectly working (no box or manual though, but the price was quite cheap). I think it's a neat little machine, and a good one in design and aesthetics. Will fit perfectly my desktop with the TV set (Italian site, sorry) :). But from what I read in this thread, these otherwise good computers tend to run very hot in the long run. Maybe if I had read it before, I wouldn't have bought it in the first place. Just to summarize your proposals, and not being able myself to solder: what can I do without changing any internal component? Cool off the three big capacitors and/or chips? If so, which passive cooler would you suggest as an easy fix for heat dissipation? Would it work? Also, I read a small fan would help: where should I put it? And how to feed it with current? Also, last question (I promise :)): would using the MegaFlashROM in the naive computer make it run too hot? In other worlds, should I revert to loading WAV files from the PC with the coming little Toshiba? I live in the 220V EU land. If you want to load CAS files whilst putting no strain on the computer itself you could try a CASDuino. It works as a replacement to a cassette player with motor control and can play cas files at 1200/2400/3600 baud. You could buy one from here or you could build your own with the instructions to be found here. Ok guys thanks for your help. I'll post my experience and pictures when the baby arrives. I'll try not to stress it too much, maybe only using it with the bare recorder (no MFR). Cheers for now, and have yourself a happy Easter! Good luck orion70, hope you succeed. I still don't use my HX-10 because of the heat issue. thanks to gdx for indicating the direction. I will start by replacing capacitors and installing heat sinks on regulators. I opened the computer today. I have a different motherboard. I can not add photos from my computer. I checked where it is hot using my finger method. to replace 4 capacitors and installation of heat sinks. I have a different motherboard. You have the HX-10 Pal, I have the version NTSC. I think your board is same as below. Components of the power supply must be about the same. Small capacitor near the black regulator seems to annoy to put a heat sink. Pull a little the regulator to space it away from the capacitor. The large heat sink heats up more if you add extension cartridges. I tried to put one a little bigger but it was not fit because of the case. So I looked for another one with more fins but I did not find one. I've set up coolers. I did as you did. the transistor was moved away from the capacitor and the radiator was added. from an aluminum flat 25mm high and 2mm thick I made a cooler. mounted together with a thermally conductive paste.